Posted at 21:52h in Historias	by	Tamara D.P. The Seeds for Progress Foundation participated in the UpStander contest by Starbucks, reaching the top 10 finalists and receiving a special recognition. Thank you to Ivan Rizo, Starbucks barista, who nominated the Foundation, and to everyone who supported our nomination! You can see the video nomination here. 2017. 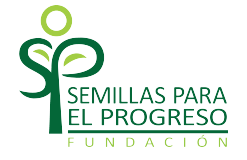 Seeds for Progress Foundation. All rights reserved.